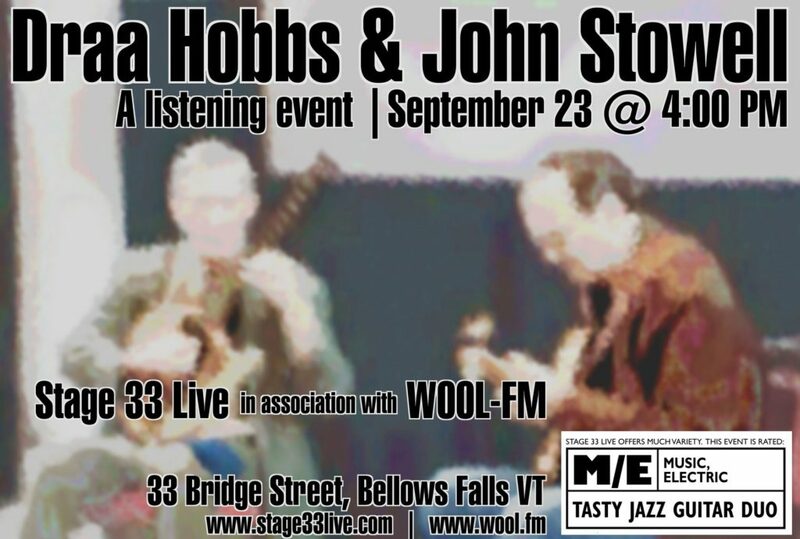 On Sunday, September 23, Black Sheep Radio and Stage 33 Live present an afternoon of world-class jazz, including a workshop and concert, with guitarists Draa Hobbs and John Stowell. Day-of-show update: Online sales are done, but tickets are available at the door. The Los Angeles Times says, “Guitarist John Stowell’s style with standards is a delightful departure from the road well traveled. He transcends the label of jazz guitarist.” Stowell, based on the West Coast, was influenced as much by pianists and horn players as he is by guitar players, and his original take on harmony, chords and improvisation sets him apart. He has taught internationally for over 40 years in every educational setting. Hobbs grew up in Chicago and has made his home in Southern Vermont since 1980, where he teaches private music lessons and at the Vermont Jazz Center and the Putney School. He studied music with the legendary Jimmy Raney, Attila Zoller, Gene Bertoncini, and Peter Lietch. Hobbs has enjoyed an active life performing in NYC, Burlington, Maine, and points in-between for the past 30 years and has shared the stage with many notable musicians including Don Friedman, Ron McClure, Eliot Zigmund, and Vic Juris. 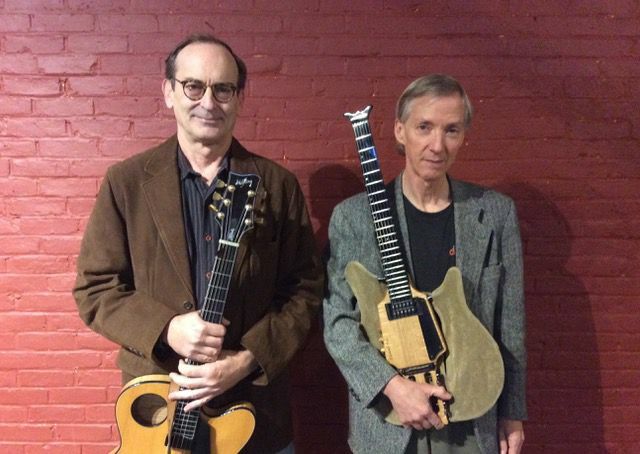 Hobbs and Stowell will perform as a duo playing jazz standards and classic compositions by Duke Ellington, Billy Strayhorn, Dave Brubeck, and others. 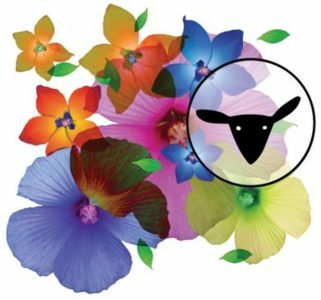 The concert begins at 4:00 p.m. at 33 Bridge Street in Bellows Falls, and includes a cash bar and light snacks by Athens Pizza, and a raffle to benefit Stage 33 Live and Black Sheep Radio. Preceding the concert, John Stowell will lead a workshop for guitarists seeking to further develop their improvisational skills. Topics covered will be melodic and harmonic minor modes, triads, voicings, comping, etc., and attendees will receive follow-up materials. The workshop begins at 2:30 p.m.
All ages are welcome, and 33 Bridge Street is an accessible space.